Apr 13 X&Y Ep. 2: We want to get in your internet pants. This week Ike and Slugs talk about how to talk to women, how to not be creepy on the internet, and if real life should trump internet dating. Check out all that an more this week on X&Y. This weeks question: What is the WORST dating experence you have ever had? Did it end well or crash and burn? Tune in next week for Slug's story on her literally jusicy dating distaster story. 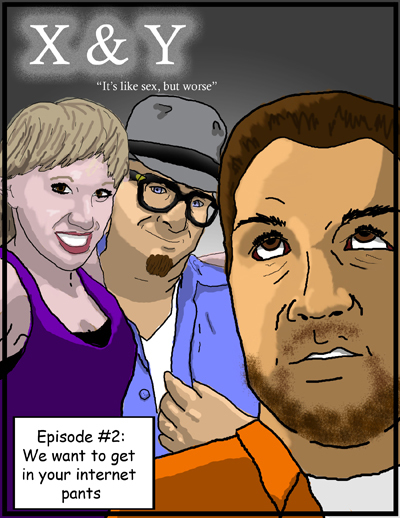 Apr 16 Offical Just Cool Enough Comic Issue #1: It's about me, not you!